Inspired by the Sciences uniform worn in the ground breaking 1987-1993 series Star Trek The Next Generation (AKA Star Trek TNG), this officially licensed, long sleeved Fusion Fight Gear Star Trek TNG women’s rash guard will take your game beyond the neutral zone. 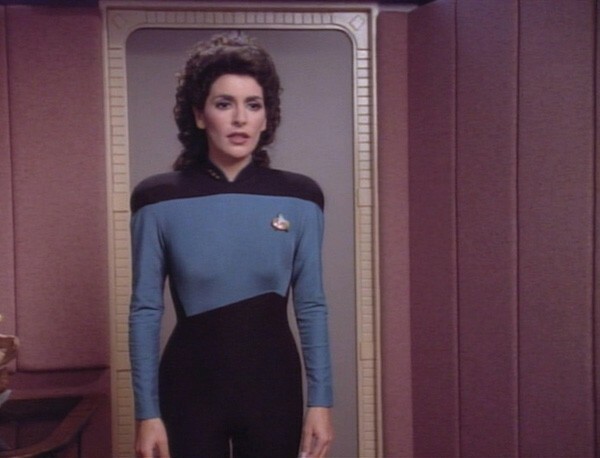 This rash guard is replicated from the Sciences uniform that Deanna Troi and Dr. Beverly Crusher wore in the early seasons of TNG. Perfect for repelling nasty bacteria, this officially licensed Star Trek women’s rash guard has a tight compression fit and will make you as slippery as a baby seal. It’s also great for wicking moisture away from the body, and will dry very quickly. This Star Trek The Next Generation BJJ rash guard can be worn with just a pair of shorts or spats for no-gi grappling, or under a gi to keep you nice and cool. 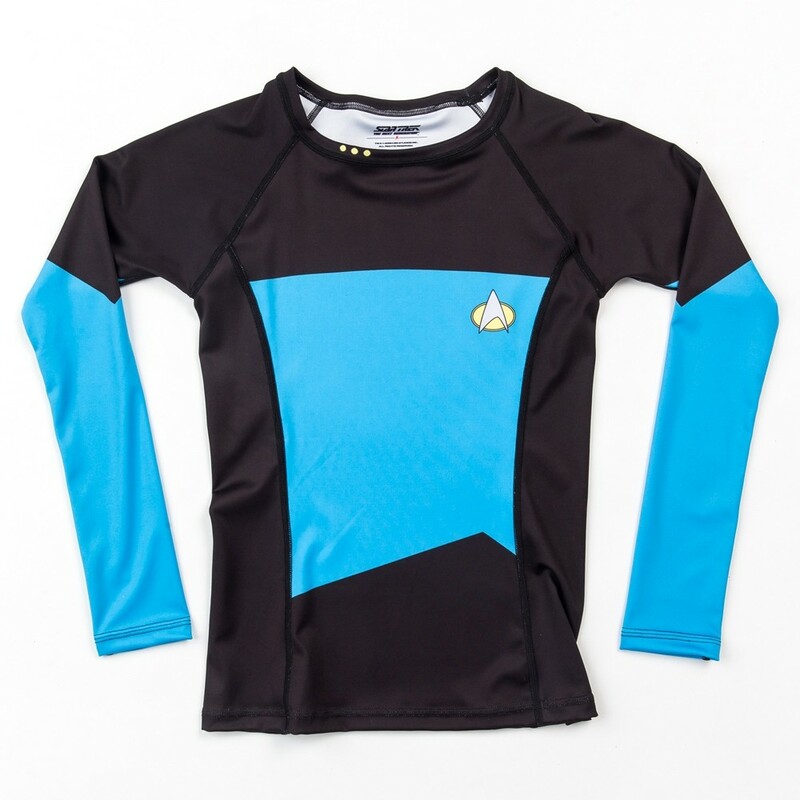 The cut of this Star Trek compression shirt was designed specifically for a woman’s body. It’s not as “boxy” as our unisex rash guards as it draws in at the waist and then flares out at the hips to give you a bit more space. The skirt is actually a bit longer than other rash guards as well so it won’t ride up when you train. As if that wasn’t enough, the collar is a “scoop” neck, and won’t feel as restrictive as a traditional crew neck rash guard. 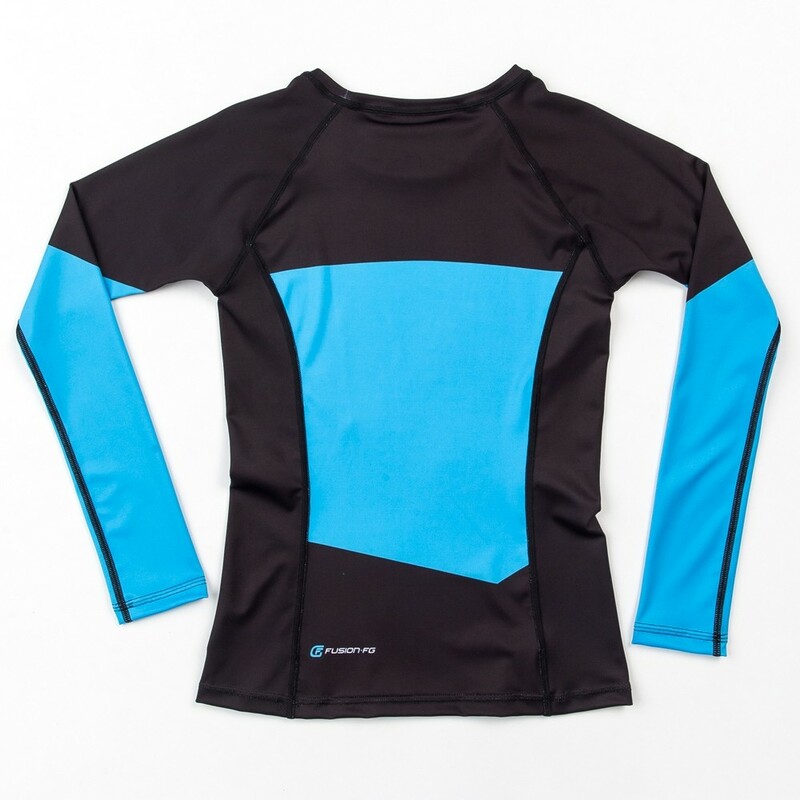 High quality flatlock stitching makes this Star Trek TNG rashguard great for resisting even the toughest wear and tear. It’s been printed with a sublimation process meaning that the design will never crack or peel off. The material on this Star Trek Blue TNG women’s compression rashguard is a high-end 88% polyester, 12% spandex blend. The spandex content creates more elasticity and results in a more comfortable, contoured fit that hugs your body and makes you tough to grab.